Okay, I know what you're thinking and yes this movie is exactly what you think it is. Is it an art house masterpiece? Of course not. Is it an Oscar caliber thriller? Not even close. Is it a blood soaked indie film that is fun to watch for how gratuitous it is? Absolutely! 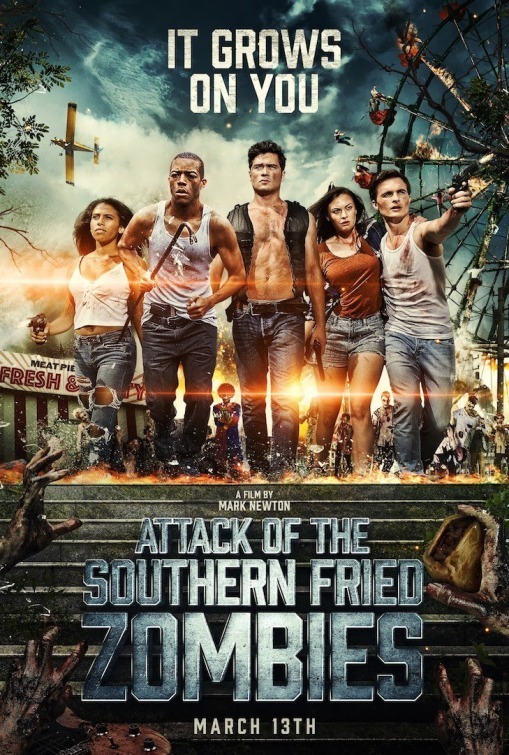 The zombie sub genre just keeps rolling along with movie after movie hitting both mainstream and independent audiences and this movie fits nicely right alongside other films I've enjoyed like Zombeavers, Cockneys vs. Zombies, and Peelers. I love the low budget style this movie has with tons of practical effects and buckets of blood spilled all over the place. This provides a bit of nostalgia and a throwback to genre movies from the 70's and 80's which, let's be honest, is where some of the best horror movies of all time came from. The story is pretty straight forward and nothing we haven't seen before but really it's all about zombies eating flesh and the heroes bashing in zombie skulls so do we really need to worry about how good the story is? I think not. 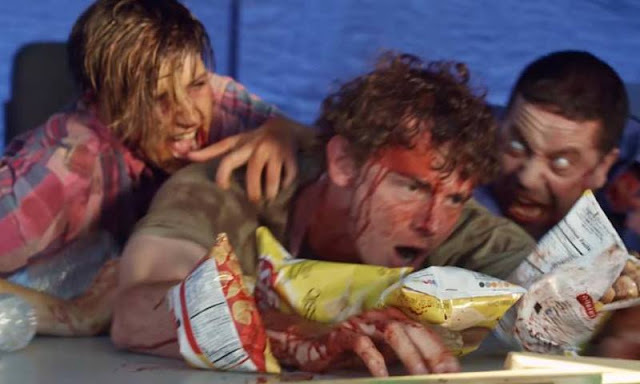 I do like how director Mark Newton places the bulk of the action in a small town festival which provided lots of interesting ways for people and zombies to be disposed of. Death by dunk tank anyone?! 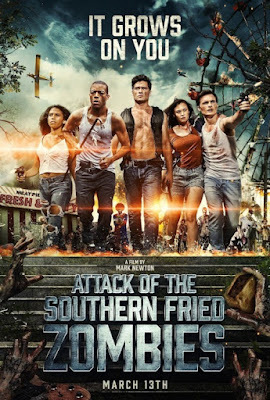 Attack of the Southern Fried Zombies is a cult classic in the making and should be one of those films we see at midnight screenings and genre festivals for years to come. Also, make sure to watch through the credits as there are a couple of bonus scenes you don't want to miss!